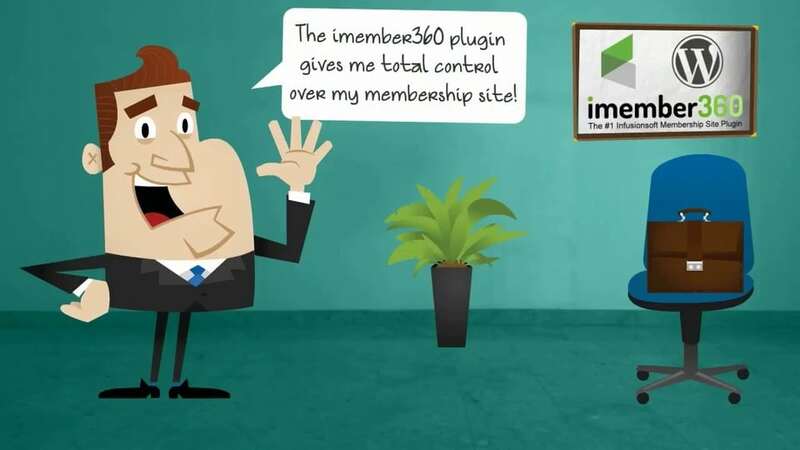 Create powerful Infusionsoft driven membership sites with WordPress and iMember360! iMember360 give you great flexibility through various settings , but most users can get started quickly by using the default settings. iMember360 membership sites provide members with the right access according to your Infusionsoft account tags, always. Protect whole posts, partial posts, or leave some open for public access. You have finely-tuned control over what's visible and to whom. Designed and coded by a talented development team who are committed to providing you with the best quality software possible. Create more income opportunities with upsells, one-click purchases and automatic credit card expiry notices to members. Once iMember360 is set up, you are free to concentrate on your members and your content. Everything else is fully automated. imember360 works beautifully alongside the best learning management solutions, forum software and the most popular landing page and SEO plugins. The imember360 community comprises the most experienced, knowledgeable and successful entrepreneurs. Join them! You can begin right now by using the free version of iMember360 to prove just how much you can achieve, faster that you thought possible! The free version allows up to 20 users as well as unlimited sub-folders on a single domain. Best of all - you'll get totally FREE support to ensure you get off to the best possible start. iMember360 Works Alongside Many Awesome Services! "Where is the star rating that gives 100 stars? Because that's what iMember360 and Bob Keen deserve with this application and his support. The power of this application to give different types of 'members' access to different parts of your website is just the beginning. It actually ultimately creates a user experience that is second to none and will have you streaks ahead of the competition. But wait, there's more. Bob (the owner) is so incredibly agile and responsive to new connections, ways of making the application work differently and ideas for how to improve it, you will be amazed at what's possible. And the Facebook group is full of amazing people with ideas and ways to implement that will have you constantly implementing new and better ways to differentiate yourself with your customers. I can't recommend this application and Bob Keen highly enough." "As Online Marketing Consultants and implementation experts we look to iMember360 for every member site that we develop and it has never failed to meet our needs. Documentation is precise and easy to follow. Installation on both the Infusionsoft and Wordpress sides are very straightforward. This is even something that your IS VA could do for you. Support is Exceptional. Bob Keens is very responsive and goes way above an beyond to provide exemplary support and to implement feature requests quickly. We also use iClient360 for user account management and this has cut down our manual Infusionsoft account maintenance considerably. If you use Infusionsoft and you need a membership solution (oh yeah, they just added an amazing searchable member directory too) look no further. iMember360 is probably the solution that you're looking for." "iMember360 is a amazing piece of software we as a web developement company have built soo many websites using iMember360. The documentation is very powerful and the support is brilliant whenever we connect Bob Keen for any imember360 query the answer is almost instant and it always works i would refer this plugin for anyone and everyone who wants to build a membership website." "There are two sides to this story. The first is the software itself. This phenomenally powerful plugin is far more than 'just' a membership plugin. Building membersites aside (which is something we do regularly) we've also used it to create "smart content" - we secretly log people into a wordpress site, and use imember to present tailored CTAs based on their browsing history, which resulted in a 1500% increase in conversions. We use iMember on our own sites, not just client sites, and have never had a problem with its performance. We've exhaustively compared it to other membership plugins, and it beats all of them hands down. When compared to its nearest rival we've observed a significant superiority in performance and security. There are many reasons that iMember is our go-to solution, and the performance of the plugin is just one of them. The second side to the story is the relentlessly spectacular support provided by Bob Keen and his team. On countless occasions (actually, I could probably go back and count them...) Bob and Norman have gone way beyond above and beyond, fixing problems I caused, saved the day with other companies' plugins when their support has let me down, fixed plugin clashes and theme clashes, all seemingly 24 hours a day (in Australia we normally have to wait a couple of days for a ticket to be resolved because of the timezone difference - not with iMember). Bob has also been a source of great knowledge, taking the time to explain complex issues to a luddite with only a tiny grasp of technical knowledge, improving my own knowledge in the process. If I could give this product 6 out of 5, it still wouldn't be enough. Jake Lunniss - Director of Benelds, the World's Fastest Growing Infusionsoft Partner"
"If you're reading this review, then I can only imagine you are wondering if iMember360 is right for you. If so, I did the exact same thing a few years back when I wanted to connect my Infusionsoft account to my wordpress membership site. I had all these things I wanted to be able to do. At the time I had multiple membership sites setup with S2member for my different products, and I wanted a single portal where my customers could log in and access all their purchases. I wanted to 'grey out' the products they didn't have, and have the ability for them to purchase those courses with 1-Click similar to what Amazon does. I wanted to set up a Refer-a-friend program where people could get free videos and courses for referring their friends instead of receiving a commission. I wanted to be able to automatically followup with people if they hadn't logged in after a certain period of time. etc... All this and so much more can be done with iMember360. Probably the biggest downside of this plugin, is I'm always thinking of 'cool' new things I want to implement and my mind never gets to stop. haha. If you're sitting on the fence, all I can say is 'Just Do It', you certainly won't regret it. It could be the decision that helps you double or triple your business." If you need additional information about iMember360, please contact us.